The lobby area at The Birth Place/NCH North Naples Hospital was part of the remodel design project by Wegman Design Group that won a Design Excellence Award for Healthcare Design of the Year from the American Society of Interior Design, South Florida Chapter. NAPLES, Fla. (Nov. 18, 2010) – Wegman Design Group was recognized with a Design Excellence Award from the American Society of Interior Design’s South Florida Chapter during the organization’s annual fall meeting and gala last month. 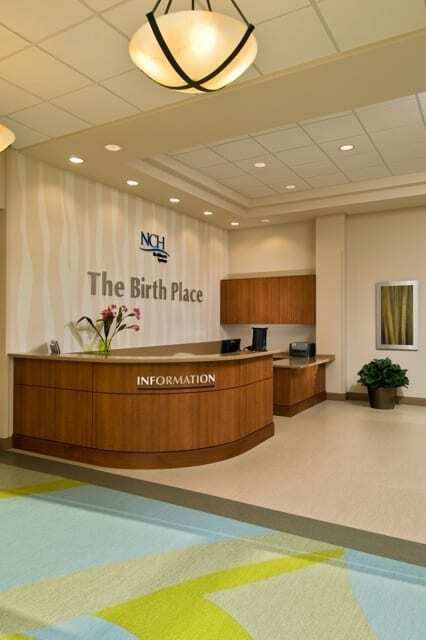 Wegman Design Group received the award for Healthcare Design of the Year for their remodel design of The Birth Place at NCH North Naples Hospital.